Active shooter events at a healthcare facility present unique challenges; healthcare professionals may be faced with a decision about what to do with patients; visitors will be present; and patients or staff may not be able to evacuate due to age, injury illness, or a medical procedure in progress. 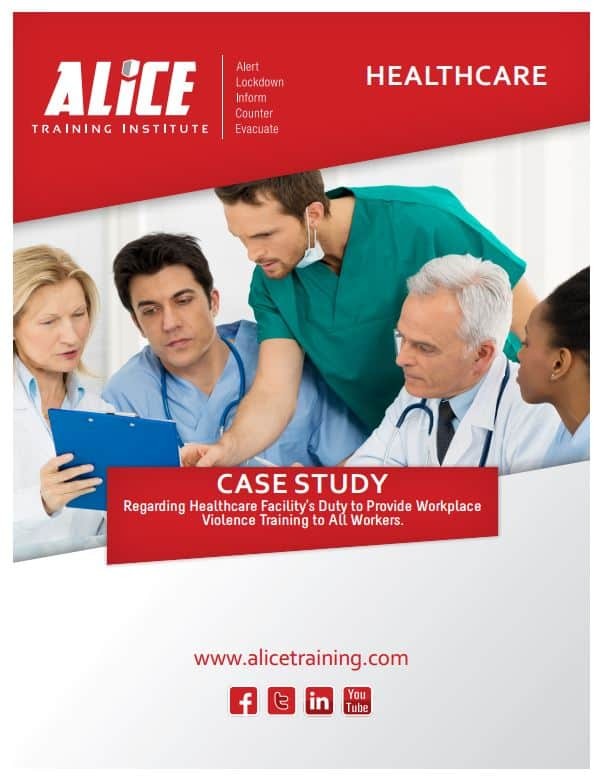 There is no single method to respond to an active shooter event, but prior planning and ALICE training will allow healthcare professionals to choose the best option during an active shooter situation, with the goal of maximizing lives saved. ALICE can help answer the following questions: What does a healthcare facility do when so many people CAN’T evacuate? There is no way to “Lockdown” every room, how can a hospital “lockdown” or secure in place? Hospitals are limited on staff until help arrives, how would a limited staff counter? If an active shooter incident occurs, hospitals must balance the need for safety and security within continuing to provide care in a therapeutic environment. This means dealing with risk associated with abandoning care versus continuing care under the stress of knowing that an active shooter has not be neutralized. Unlike school shootings that involve lockdown and evacuation, hospitals must still deliver care and ensure patient safety. 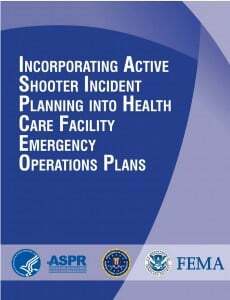 Operations cannot entirely cease if a shooter is located on one floor. ICU care and OR suites located in different wings of the hospital must still operate, or else suffer the risk exposure of failing to provide requisite medical care. In today’s economy, many hospitals may be struggling financially and thus unable to provide adequate resources, staff and security time, and human resources to provide workplace violence education and training. 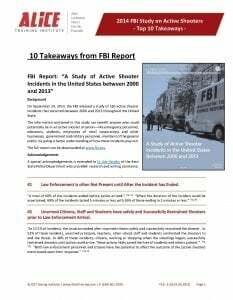 But shortfalls in these areas could literally be fatal, particularly if personnel perceive they do not work in a safe environment or if administration has not provided policies and procedures to address workplace violence inclusive of the active shooter scenario. Potential risks includes; staff or patient injuries or fatalities, OSHA citations under the General Duty Clause, and damaging media attention. Whether you’re a small community facility or a top 10 – we’ve got you covered. 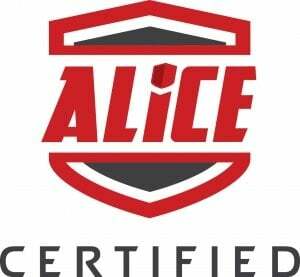 In-person ALICE Training Instructor drills and exercises reinforce with our online e-Learning. Interactive training course for healthcare professionals to receive an individual certificate. Unsure which active shooter, mass shooting, or aggressive intruder situation training option is right for you? If your healthcare facility’s only response is Lockdown you’re at odds with the US Department of Health & Human Services. In 2013, the US Department of Health & Human Services spent considerable resources researching active shooting events. Their findings have resulted in a change in guidance. ALICE protocols are used almost exclusively in all new guidance. Following current federal and safety organizations recommendations is a major step in limiting the liability by demonstrating they have met today’s standard of care. [Certify your Staff] As part of your Workplace Violence Program. Health care workers rate of assaults is 8 of 10,000 compared with 2 of 10,000 for private sector industries. 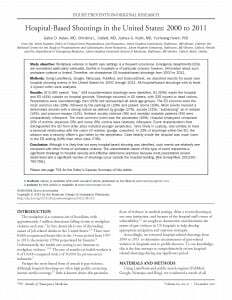 Nearly 30% of US hospital based shootings occurred in emergency departments. 50% of the emergency department’s incidents involved a police or security officer firearm. 10 Reasons: Increased Violence in Healthcare Facilities. Numerous points of ingress and egress with unrestricted movement of the public within the healthcare facility. Working directly with volatile people, especially if they are under the influence of drugs or alcohol or have a history of violence or certain psychotic diagnoses. Procedures which are seen by some as controversial, such as abortions or stem cell research. The carrying of handguns and other weapons by patients, their families or friends. The use of healthcare facilities by police and the criminal justice system for the care of acutely disturbed, violent individuals. The increasing number of acute and chronically mentally ill patients being released without follow-up care. The availability of pharmaceutical drugs. Distraught family members and long waits in emergency areas. Lack of resources (funding) for healthcare security departments. Over 1,000,000 trained. Let’s see what Some have to Say! Not sure which ALICE solution is right for you? Attend a 2 day class to Learn More.